Trust Tom The Tree Man. Hello, my name is Tom Proctor aka - Tom the Tree Man. I’m the owner/operator of Tom’s Lawn & Tree Care. We are a locally owned and operated company doing business in the Colorado Springs, Security, Widefield, Fountain and El Paso County areas as well as Teller County. ​I am an ISA (International Society of Arboriculture) Certified Arborist with over 25 years in the tree business and 30 years experience in the Green Industry. As well, I am a licensed Qualified Supervisor through the Colorado Department of Agriculture. Tom's Lawn & Tree Care is proud to be a professional member of the International Society of Arboriculture, Rocky Mountain Chapter and the Colorado Arborists and Lawn Care Professionals. Please check out my blog TreeMan Time for great information regarding tree care, lawn care, and landscaping. Also, I have a few quick tips at the bottom of the website for your lawn and tree care throughout the year. We appreciate that you took the time to visit our website! TREE CARE- Tree Pru﻿ning, Tree Removal, Tree Planting, Stump Removal, Stump Grinding, Shrub Trimming & Removal, Hedge Trimming & Removal, Insect & Disease Identification/Diagnosis. LAWN CARE- Aeration, Fertilization, Weekly Mowing, Spring & Fall Clean Up. 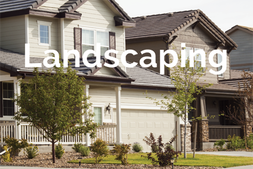 LANDSCAPING- Xeriscaping, Rock & Mulch Installation, Tree & Shrub Planting, Tree & Shrub Removal, Sprinkler Repair. MISC- Fire Mitigation, Firewood for Sale, Gutter Cleaning. ​What do you need help with? Click on a picture below. 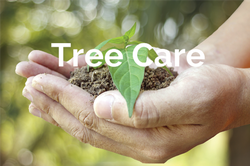 ​We are a licensed tree service through the City of Colorado Springs Forestry Division. 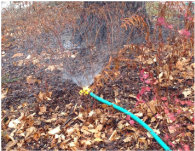 Did you know that your trees, shrubs, and lawn need watering during our long, dry winter months? ​Most of us only think about pruning plants or trees in the warm months of spring. But, we actually recommend that you properly prune your trees during the winter. Pruning deciduous trees in the winter is important to their overall health and will benefit the look of your landscaping into the spring and summer months.